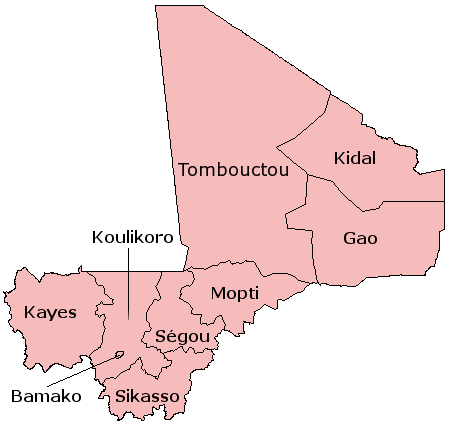 Ségou Villages Connection , the Rising Voices grantee from Mali has a simple objective, linking between the residents of rural villages and the larger cities of Mali using mobile phones and internet. Boukary was recently featured in a series of video interviews conducted by Phil Paoletta on the site How to Draw Camels. In this video, Boukary talks about how residents of Ségou villages, who have very little access to the internet will be able to to use their mobile phones to send news about the communities to the residents living in the capital Bamako. 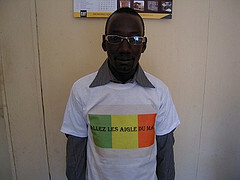 On the May 1st, 2011, a training session  was arranged in the village named “Cinzana-Gare”, 30 km from Ségou. 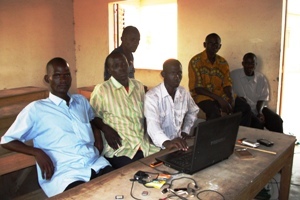 The training focused on how to send news and information to the site administrators and blog moderators by SMS and by mammy wagons  by the participants in the different villages and how to create a system of feedback between the readers and the villagers. At the end of this training, a very courageous team was capable of sending news by SMS although they did not have their own computer, solar panel, batteries and mobile Internet. Read more messages here .